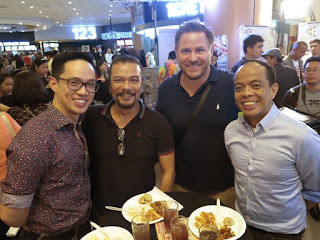 It was a night to remember as Glorietta 4 cinemas was adorned with stars from the previously concluded premiere of the digitally restored version of the movie “Hihintayin Kita Sa Langit” (1991) after 26 years for the second wave of Cinema Classics-Filipino Films in Retrospect at Ayala Malls Cinemas. 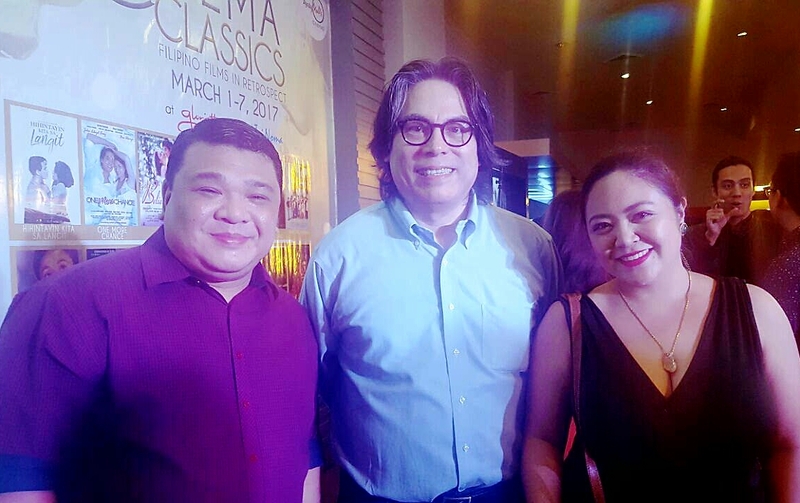 This is in partnership with ABS-CBN Film Restoration Group for the project Sagip Pelikula. The movie where the famed Char-Dawn love team started were attended by no less than the lead stars themselves Dawn Zulueta and Richard Gomez, together with their director, Carlos Siguion-Reyna and other cast and crew – Eric Quizon, Vangie Labalan, Guila Alvarez, Raquel Villavicencio (writer), Romy Vitug (cinematographer), Jess Navarro (editor) and Richard Reynoso (who sang the movie theme song). 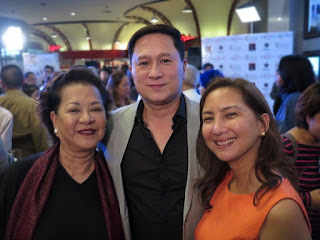 Family and friends also watched the premiere as a show of support, Congresswoman Lucy Torres-Gomez and daughter Juliana, Bibeth Orteza, Rafa and Sarah Siguion-Reyna, Audrey Tan-Zubiri, Kaye Tinga, Ben Chan, Keren Pascual, Jeffrey Hidalgo, Joel Ruiz, Matt Torres, Miguel Pastor, Wig Tysmans, Lee O’Brien, Nikki Valdez, Mon Confiado, Ms. Celeste Legaspi among others. 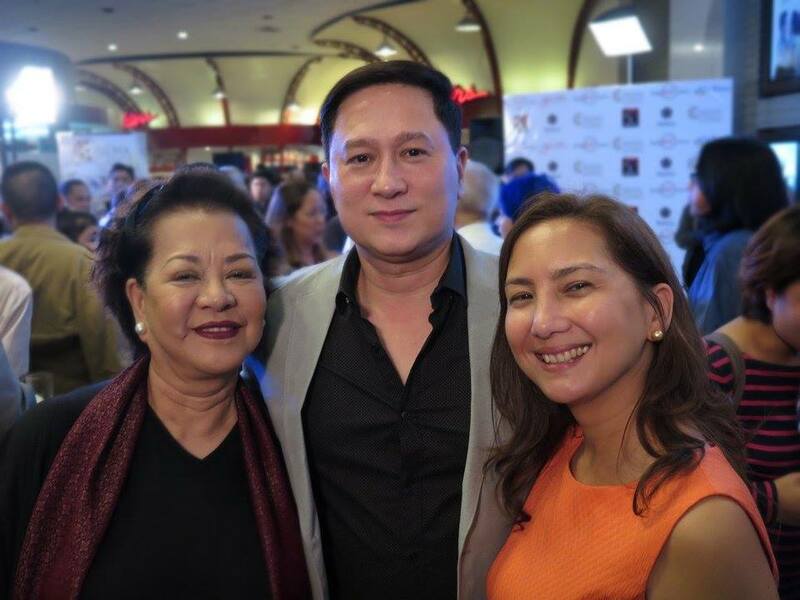 Guests who flocked the premiere giddily reminisced the scenes from this Filipino classic film. “Ayala Malls has always been known to support the arts and culture, celebrating the ingenuity of the Filipino artists. And these classic movies are one of those that highlight the Filipino talent” said Rowena M. Tomeldan, Ayala Malls group head and chairman of Ayala Theatres Management, Inc.
Alongside Hihintayin Kita sa Langit, Cinema Classics also featured films from Olivia Lamasan’s Madrasta (1996) (Sharon Cuneta, Christopher De Leon, Zsa Zsa Padilla, Claudine Barretto), Minsan Minahal Kita (2000) (Sharon Cuneta, Richard Gomez, Edu Manzano), Got To Believe (2002) (Rico Yan, Claudine Barretto, Dominic Ochoa) and In My Life (2009) (Vilma Santos, John Lloyd Cruz, Luis Manzano); Laurice Guillen’s Tanging Yaman (2000) (Gloria Romero, Johnny Delgado, Hilda Koronel); Roy Quintos’ Anak (2000) (Vilma Santos, Claudine Barretto); Carlos Siguion Reyna’s Ang Lalaki Sa Buhay Ni Selya (1998) (Rosanna Roces, Ricky Davao); Marilou-Diaz Abaya’s Karnal (1983) (Charito Solis, Philip Salvador), Peque Gallaga’s Oro Plata Mata (1983) (Liza Lorena, Cherrie Gil, Sandy Andolong); Danny Zialcita’s Nagalit Ang Buwan Sa Haba Ng Gabi (1983) (Dindo Fernando, Gloria Diaz, Eddie Garcia, Laurice Guillen); Mario O’Hara’s Tatlong Taong Walang Diyos (1972) (Nora Aunor, Christopher De Leon, Bembol Rocco); Jerry Lopez Sineneng’s Labs Kita Okay Ka Lang? 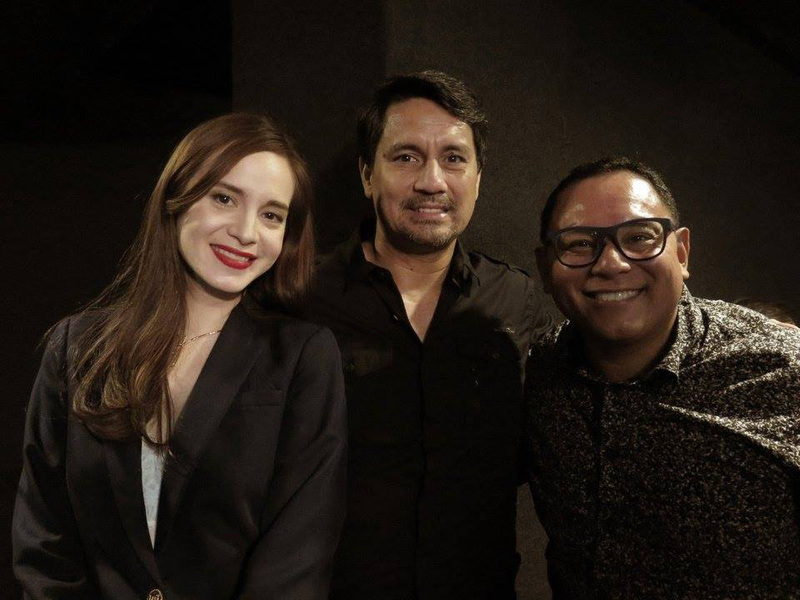 (1998) (Marvin Augustin, Jolina Magdangal); Cathy Garcia-Molina’s One More Chance (2007) (John Lloyd Cruz, Bea Alonzo). Visit www.sureseats.com for the latest blockbusters. You may also check Ayala Malls Cinemas Facebook page, Twitter @ilovesureseats and Instagram @iloveayalamallscinemas for updates. Experience it best at Ayala Malls Cinemas!